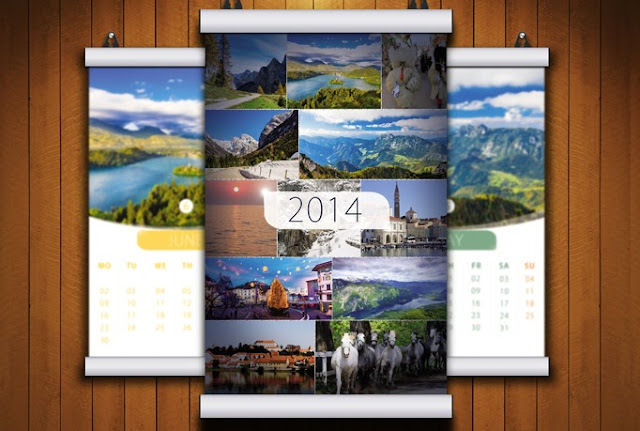 To celebrate 2014 and launch of the Adriatic Road Trip Blog, I'm giving away a free printable monthly calendar of Slovenia. The calendar has 12 beautiful, high-resolution photos of Slovenia. There are no advertisements or any other marks on the calendar. Image Credits: Jan (@onixxino), Feb (@dinozzaver), Mar (@Xseon), Apr (@Yan Simkin), May (@Maksym Deliyergiyev), Jun (@Matej Kastelic), Jul (@Toni Krasnic), Aug (@Toni Krasnic), Sep (@Marko5), Oct (@Rechitan Sorin), Nov (@sonsam), Dec (@Matej Kastelic).